Edgar Bronfman, The Third Act: Reinventing Yourself After Retirement. Volunteer Center GR and the Johnson Center for Philanthropy held focus groups last month in GRid 70 /Made in "Paint" by Teresa Z, special thanks to GRid70 for the pic. Our country is undergoing a demographic revolution as its largest generation nears traditional retirement age. There may be no shortage of energy – but knowing the best way to harness it is another story. For many, “retirement” no longer has the same meaning (or age!) that it had for previous generations, and increasingly, neither does “volunteer service.” This fresh ambiguity in times of great change offers an opportunity to rethink how people connect to their community. The Volunteer Center has been working locally and collaboratively as a part of a Community Experience Partnership, a national initiative to build adequate supports and structures needed to provide meaningful volunteer opportunities for experienced adults. 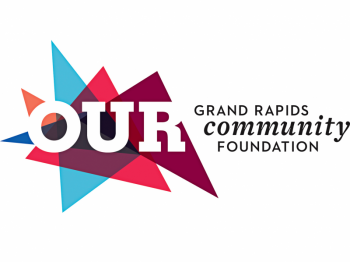 The Grand Rapids Community Foundation is one of a “vanguard of progressive community foundations” that has been selected to help unleash the potential of this growing population. Locally, the initiative is called Encore. Recent research has shown that organizations that can leverage the talents of volunteers throughout the organization, not just an add-on, to meet its mission can provide the same services with half the money as organizations without a volunteer program. With the Community Foundation and the Johnson Center for Philanthropy , the Volunteer Center has been working to support a drastic increase in the amount of skills-based volunteer opportunities in the community, and a distinct change in the way that organizations think about their volunteers and how experienced adults can plug in. Working collaboratively to grow skills-based volunteerism in Kent County, on January 27th and January 28th - the Volunteer Center and the Johnson Center for Philanthropy took advantage of the innovative atmosphere of GRid70 to host two focus groups about new ways to engage experienced adults with meaningful opportunities. Community-minded individuals representing corporations, small businesses, associations, and non-profits shared their perspectives on what volunteerism really looks like in Kent County - particularly in the workplace – what it means to be an “experienced adult,” and what tools, services, or other as yet unknown variables would be helpful. The focus groups revealed some great success stories of volunteer engagement and impact already happening in the workplace. Studies have shown numerous holistic health benefits from the act of volunteering, and as a result, many companies have incorporated volunteerism into their Health and Wellness Programs. Others shared that their company offered two paid days a year for their staff to devote to giving back to their community. One company offered a day to volunteer as an incentive to be one of the highest donors in a fish race fundraising event! Growing from a point of successful engagement in one-day events, the Volunteer Center is identifying ways to harness the skills and expertise of these individuals through pro-bono projects, advice-sharing, and stipended leadership roles. There is work to be done, but the focus groups bolstered our excitement for some new directions for the Volunteer Center in 2011. If you would like to weigh in, or learn more about some best practices of incorporating volunteerism into your workplace or being an Encore volunteer, please contact us! Disclosure: Teresa Zbiciak is an AmeriCorps VISTA with Volunteer Center GR, working to grow Skills Based Volunteerism and Encore opportunities in Kent County.